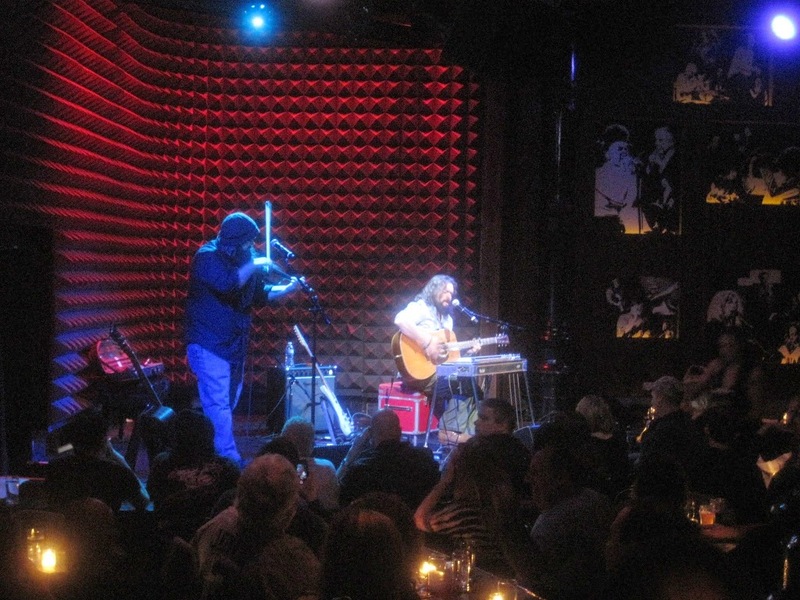 The night after music fans had to sit through an ACM Awards show full of hick-hop, auto-tune, lip syncing, and jumbled pop music disguised as country music, I was able to purify my ears by witnessing ninety minutes of brilliant musicianship at Joe’s Pub in New York City. 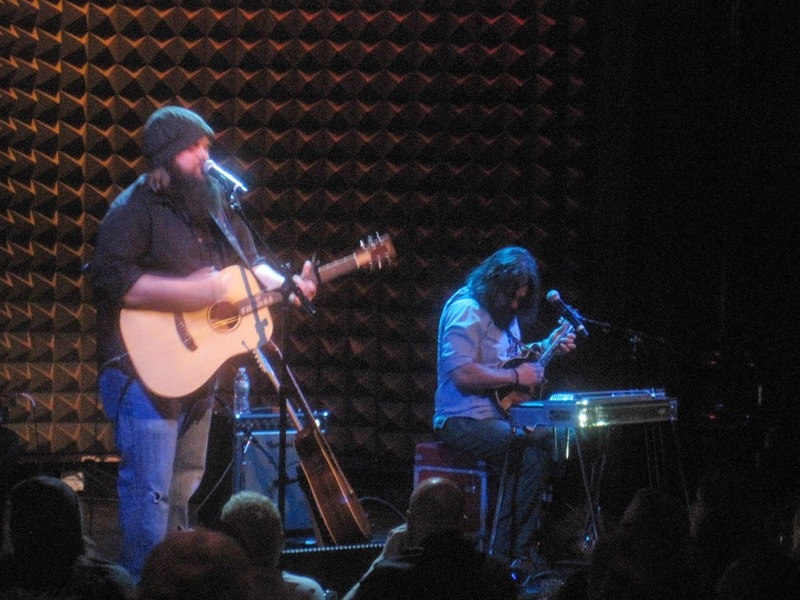 Clay Cook, most known for being a current band member of the Zac Brown Band, and Levi Lowrey, a singer-songwriter who is a BMI Award Winner and CMA Nominee, brought the second round of their Clay v. Levi Tour to the intimate venue nestled in the Bowery District of Manhattan. What followed was an impressive set full of original material as well as cover song selections as the two musicians traded vocals and backed each intrumentally. The show opened with Clay and Levi playing a round of rock, paper, scissors to see who would sing first with Levi being the winner. If that was not an immediate indication for all in attendance that this show would be very different than all others, you must not get out much. 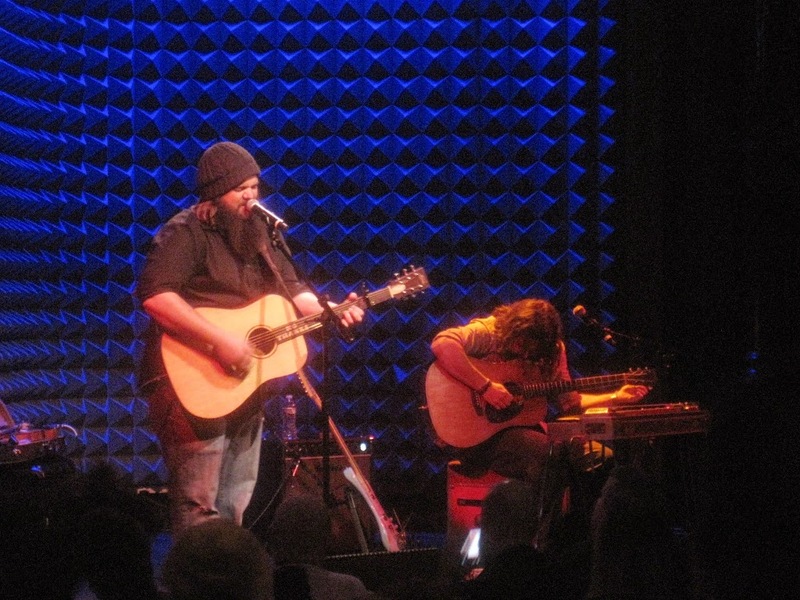 Levi admitted that he had a few friends create his setlist before the show, but Clay simply picked songs off the cuff. Levi kicked things off with Barely Getting By, off his self-entitled album (see my interview with him from March 2014 for more info: http://millertimemusicspot.blogspot.com/2014/03/an-interview-with-levi-lowrey.html) and Clay followed it up with Mountain Time off his album with the same name. 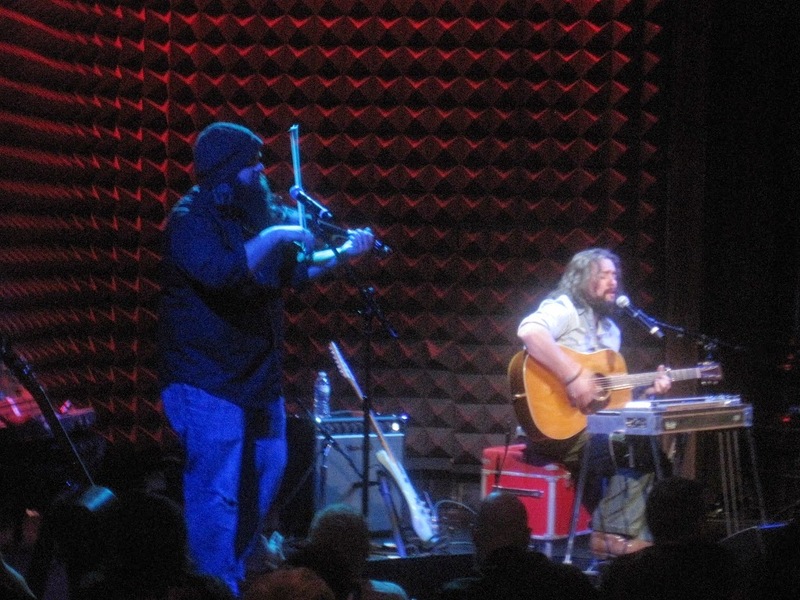 I do not know what was most impressive that night, the extraordinary voices of these two men, the intrumental skills they showcased, or the overall acoustics projected from Joe’s Pub. All in all, sonically, the show was as close to as perfect as far as pure sounding music goes. Clay dominated his craft as he served as the host, told stories, made jokes, sang, and played the steel guitar, mandolin, acoustic guitar and electric guitar. 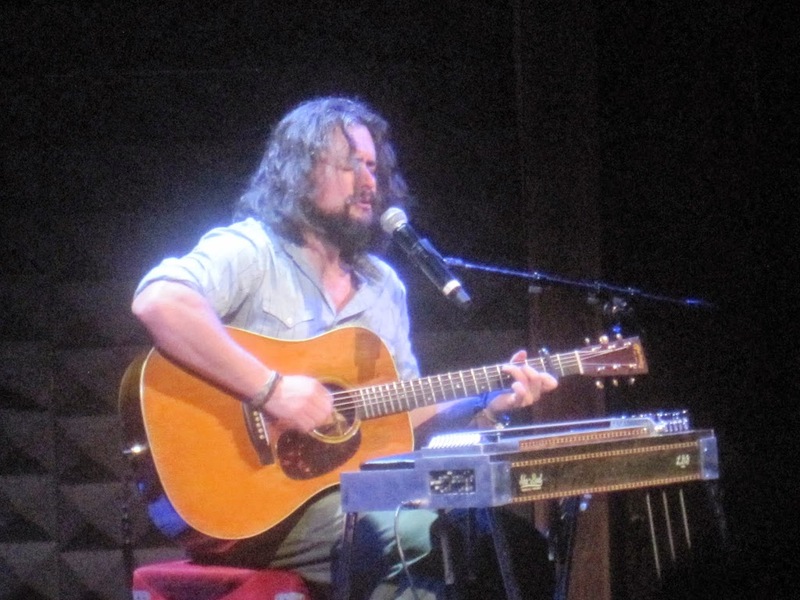 He had a huge reaction as he played his buddy John Mayer’s No Such Thing as well as his own material, such as Restless Man and Lost Generation. Not to be outdone, Levi strummed his acoustic guitar and performed beautifully with a fiddle when backing Clay. Songs such as All-American had the crowd laughing while, alternatively, Trying Not To Die had them intently listening to the deep lyrics. 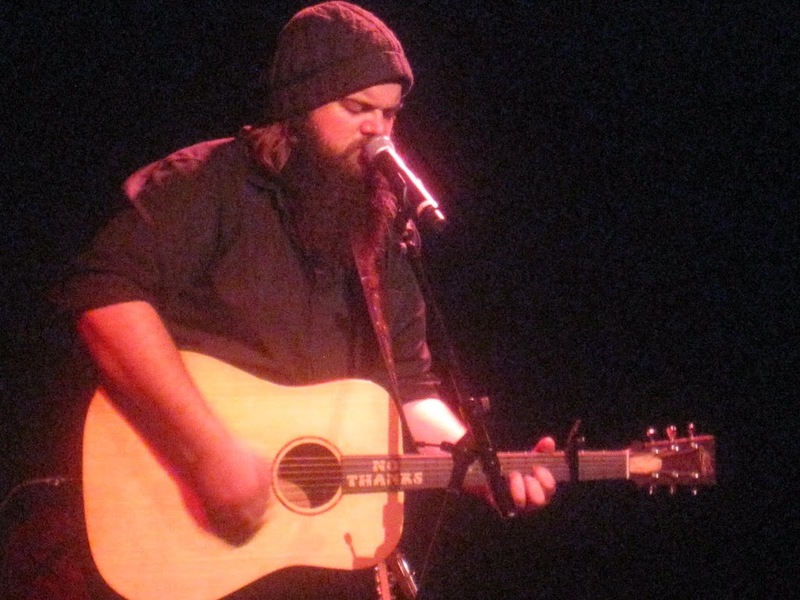 He performed a Johnny Cash song and, to the delight of the crowd, Colder Weather, made famous by the Zac Brown Band, in which Levi helped co-write (see video clip below). Despite the intense lyrics in their songs and dedication to their instruments, it was great to see them not take themselves too seriously. They traded jokes about how Levi hates a whole train (had to be there to understand that one), jumped into the Muppet song, and Clay even sang a portion of Garth Brooks’ Thunder Rolls in the voice of Randy Newman. Overall, the unpredictable combination of laughs and the flawless sounds from both instruments and vocal chords, made Clay v Levi experience was one of the most enjoyable shows I’ve seen in quite awhile.